Create a field group, add your fields and define the location rules. Presto! Your fields have appeared and are ready for content. At the core of the Advanced Custom Fields plugin is the simple and intuitive API. Use functions like get_field() and the_field() to quickly build powerful templates. custom field management couldn’t be easier or look any better! We provide a content rich resource library with code examples, tutorials and guides! 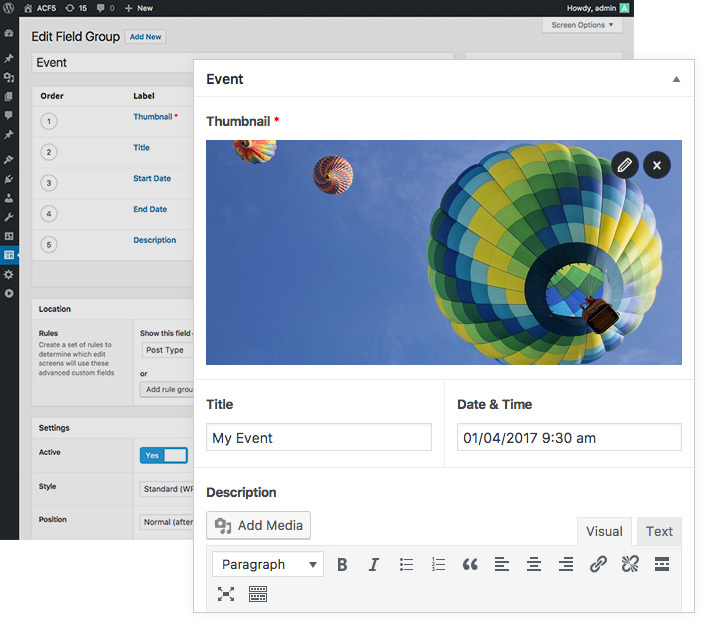 Learn about fields, functions, actions, filters & more. We offer free support to all ACF users! Browse and post in our ever growing community forum or contact our friendly support team. Need repeatable data, page building tools, galleries or custom admin pages? Be sure to checkout our professional version! 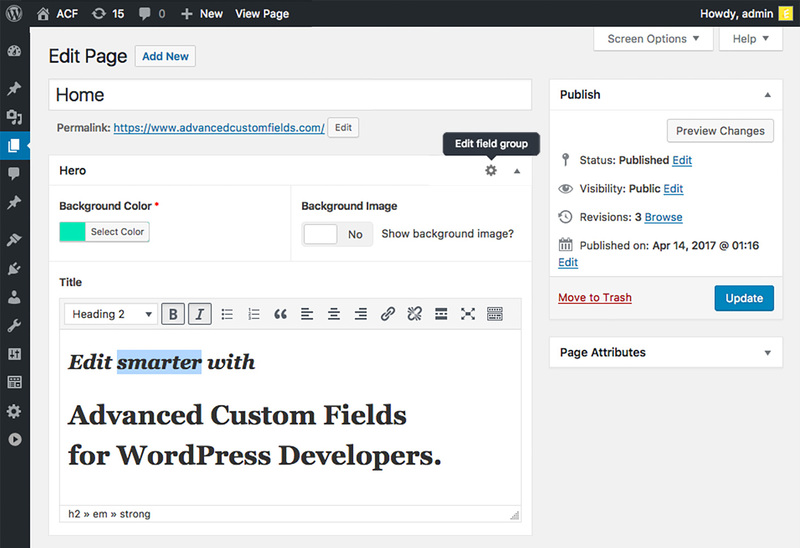 Download the Advanced Custom Fields plugin and find out just how easy your project can be!